Garages are necessary for buildings in order to park different types of motor vehicles for safe keeping while they are not being used. To do so, a door is needed. 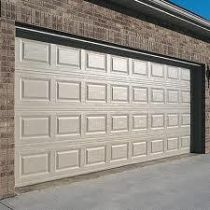 Beginning with the 1920s, garage doors can be opened and closed using a garage door opener, in order to avoid opening them manually each time you need to drive away or park the car. The electronic garage door opener, which is also called an overhead garage door opener, was invented in the year 1926 by C G Johnson. 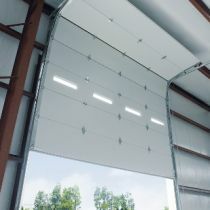 Because these door openers use an electric motor to facilitate the opening of heavy garage doors, there is no need to perform the process manually. The garage door opener can be defined as a motorized engine that opens and closes doors automatically on demand. 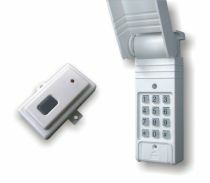 A switch on the garage wall or a remote control that operates from a distance will control the opener. 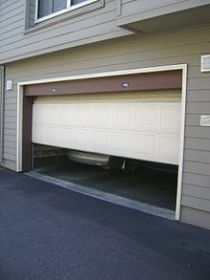 Moreover, there are certain types of garage doors that can facilitate this service. 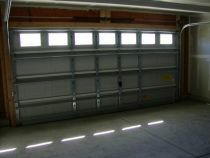 This type of garage door opener is amongst the most popular as it is both cheap and easy to install. The mechanism is composed of a metal chain that connects to the motor of the opener and it uses a remote control or switch to function. This type was the first one invented by C G Johnson in thw 1920s, it is switch-operated and makes a lot of noise. The chain drive opener lifts the door using a shaft and sprocket method. 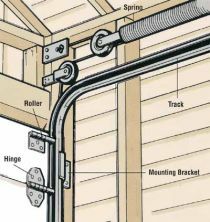 For maximum accessibility, the switch for this type of opener is placed both on the inside of the garage and outside, directly on the wall. One of the top manufacturers of this type of opener, as stated by different reviewers, is the company Craftsman and Chamberlain. 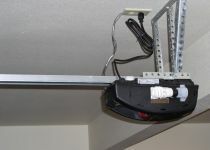 This type of garage door opener can even be found on sale at a price of $119. This type of opener has a lot of similarities with the chain drive opener; however it differs in the type of mechanism used. It can be placed in garages located underneath a home or right next to it. It is preferred by most because it is more enduring in time and because it is much quieter than the chain drive type when running, although it costs more. It functions with the help of a rubber strap that is much less noisy than the chain drive and runs more smoothly. Again, the top manufacturer of this type of opener is Chamberlain. The price for one belt drive type opener is approximately $270 and it includes a warranty period between 10 years and a lifetime. This type is an automatic opener, developed by the manufacturer Genie and it functions with the help of a motor type called a direct drive. When the system is activated, a threaded steel rod starts to move. This type of opener is very quiet as it does not use any straps or chains, and it is likewise very fast. Therefore, it is more efficient than the previously mentioned types. The cost of a screw drive type opener is not above that of a chain drive opener, and includes a 15 year warranty. This type of system is also in high demand due to the low retail price of $170. These systems can all be used with remote controls or switches placed on the garage wall. Hopefully, this presentation has helped you choose the right system for your home.